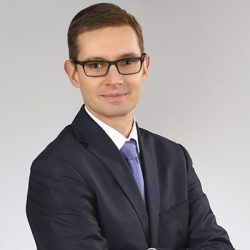 Gabinet Ginekologiczny Artur Chełmicki: Artur Chelmicki MD. PhD. Dr Artur Chełmicki (born 1977) graduated form Medical University of Silesia in 2002. Specialist training in obstetrics and gynaecology completed in 2011 r. Professional experience gained while working at Obstetrics and Gynaecology Department and Gynaecological Endocrinology Department, Central Teaching Hospital, Medical University of Silesia. International experience gained through cooperation with Hospitals and Reproductive Medicine clinics in United Kingdom. Since 2012 works for and develops IVF Clinic in Poland (Katowice). During his career dr Artur Chelmicki took part in number of international congresses, conferences, courses and workshops continuously improving professional knowledge and skills. Main interests are associated with: reproductive medicine, non-invasive surgical procedures (hysteroscopy, laparoscopy) gynaecological endocrinology, ultrasound techniques, cervical pathologies (related to HPV infections) and obstetrics. In 2008 dr Artur Chelmicki was awarded PhD degree after completing studies on genetic association and background associated to Polycystic Ovarian Syndrome (PCOS). Member of Polish Gynaecological Society and ESHRE (European Society of Human Reproduction and Embryology).